Polyurea’s dielectric strength, the maximum electric field strength that a material can withstand without decomposition, is the source of its unequaled chemical resistance. With a properly prepared substrate and professional application, polyurea coatings create an impermeable seamless seal that endures many types of acids, chemicals and fossil fuels. Transportation and storage equipment is fully safeguarded and the lifetime of service for the equipment is extended indefinitely. Polyurea linings seamlessly adhere to a wide-range of surfaces to provide a barrier between the immersed storage structure and potentially corrosive materials. Chemical resistant and impermeable, polyurea is ideal for primary and secondary containment of materials from potable water to harsh chemicals. 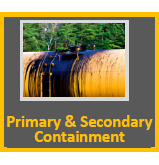 For secondary containment polyurea coatings deliver the strongest back-up leak protection with exceptional elasticity to reduce risk from shifting, expansion or contraction. Polyurea coatings exhibit unrivaled strength over other traditional coating materials delivering the protection needed to withstand repeated and excessive scraping, friction and erosive actions without damage to the coating or underlying surface. High-use or high-traffic areas such as loading zones or processing facilities can be fully protected to maintain a “like-new” appearance throughout the lifetime of the asset. 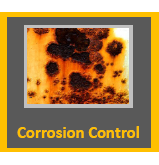 Polyurea is characterized by many essential properties that make it the ultimate solution for corrosion control. Water resistance is one of the most important. As an universal solvent, water can combine with other materials creating a corrosive environment causing damage to the underlying substrate. 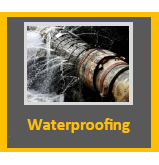 Polyurea is waterproof and creates an impenetrable barrier that does not breakdown when exposed to caustic materials. 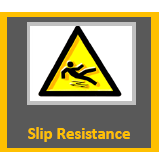 Slipping on spills, cleaning products, condensation, bodily fluids, dust or debris can cause the potential for serious accidents in the workplace. It is expected and regulations mandate that the floor in the workplace is suitable for the type of activity being performed. Anti-slip additives are known to significantly enhance the safety of polyurea coated surfaces without altering its superior strength, adhesion, durability or aesthetics. 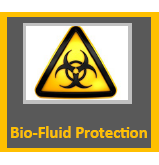 Invulnerable to dust, fluids, bodily fluids etc. 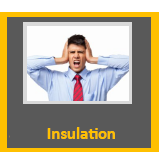 As insulation, polyurethane foam expands and effectively seals all cracks, cavities and crevices to reduce ambient noise better than conventional insulation. It creates an air-tight atmosphere that prevents build-up of moisture and dangerous molds and delivers a climate-controlled environment for exceptional energy savings. Fire-resistant, polyurethane can provide occupants that little extra time needed for safe evacuation during fires. Polyurea contains zero solvents. When properly applied, polyurea eliminates the risk of decomposition and outgassing. These unique environmentally-friendly properties combined with superior strength has made polyurea an ideal “green” material for soil stabilization and erosion protection. 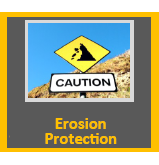 Polyurea applied over geotextile materials essentially bind the soil to create a robust wind and water seal for lasting erosion protection. Polyurea forms a water resistant, seamless monolithic coating to prevent leaks, rust, corrosion and water damage. Constant exposure to moisture can cause serious damage and health risks due to mold and mildew. Polyurea coatings effectively seal the pores of concrete walls or foundations to create a strong, water-tight structure. Moisture and temperature insensitivity allows polyurea application in problematic ambient conditions. The most widespread cause of injury and destruction from a bomb blast is fragmentation and inward projection of the construction materials. 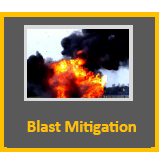 Three key physical properties make polyurea coatings extremely effective for blast mitigation, strength, hyper-elasticity and superior adhesion. Polyurea coatings protect occupants from flying fragmentation and substantially augment the structure to resist potential collapse. Polyurea is considered an insulator material with little or no electrical conduction. 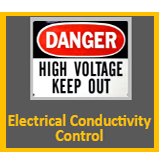 This is particularly important for industries are exposed to the risk of electrocution from overhead electrical lines. Without a non-conductive material coating such as polyurea, boom trucks, used to raise or lower a worker, can act as an electrical conductor. 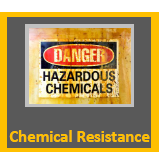 The insulting properties of polyurea delivers an effective barrier to eliminate electrical conduction and improve the safety of personnel and assets. 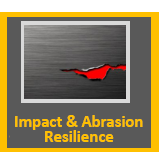 Together, abrasion resistance and chemical resistance provide the physical properties that are essential for polyurea coatings to protect valuable assets from destructive vandalism. 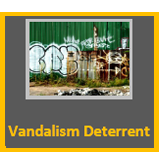 High tensile strength ensures that the coating can not be damaged by attempts to deface through scrapping or tearing. Spray paint, marker or other types of graffiti material can be thoroughly and easily cleaned to return the polyurea coating to its original aesthetic.